In 2009, Australian natives Rian Cope and Dylan Bradshaw packed up their touring bikes and boogie boards and went on a three-and-a-half-month-long bicycle touring/surfing adventure in Indonesia while along the way recording their travels on video tape. 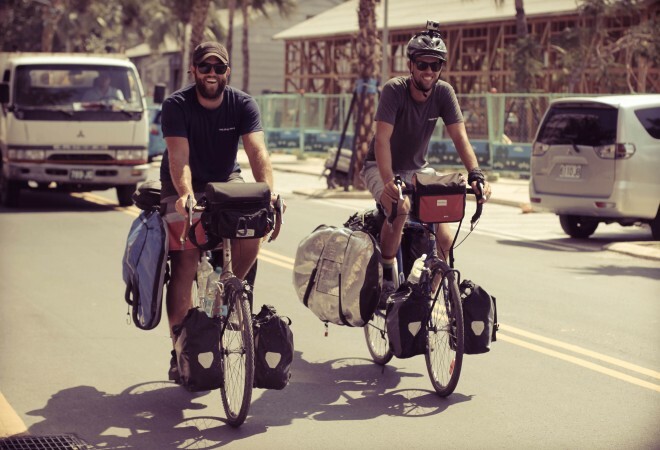 When they returned home from their adventures, they edited the footage from their trip into an impressive 4-part documentary series called Eat. Sleep. Surf. 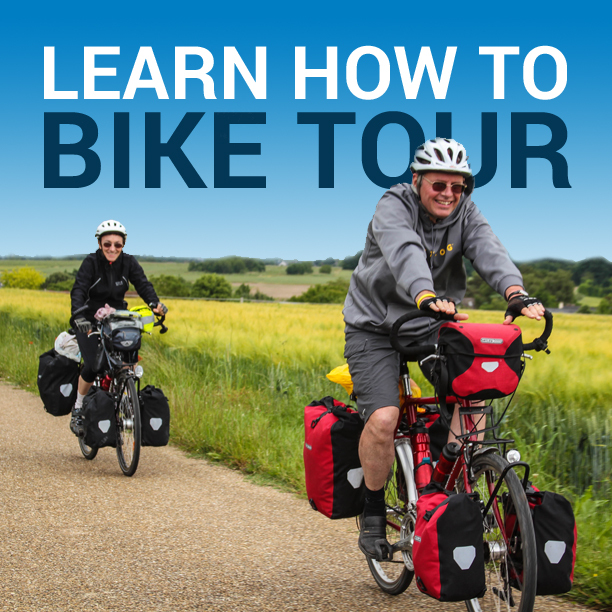 (which I previously reviewed here on Bicycle Touring Pro). Recently, Dylan returned to Indonesia on his own to continue the journey that he and Rian had started several years before… and while there, make a new film about his Indonesian cycling/surfing excursion. Cycling east from Bali, Dylan explores the islands of Nusa Lembogan, Lombok and West Sumbawa, while stopping off along the way at some of the world’s most renown surf-breaks (Bingin, Desert Point, Lacerations, Padang Padang and Scar Reef). Having just finished watching Sendiri, I can tell you that this charming, romantic and relaxing movie makes you want to jump on your bike, ride to the beach and go swimming in the water. I don’t know how to surf myself, but this film makes me want to try! Watch the trailer for Sendiri above and then be sure to watch the complete film on the official Eat. Sleep. Surf. website. It’s available now for immediate digital download for the super low price of only $4.95 USD. This entry was posted in Asia, Bicycle Touring Pro Articles, Indonesia, Locations, Main Articles, Movies, Product & Service Reviews, Products, Videos and tagged bicycle surfing, bicycle touring movie, bike tour movie, boogie boar, boogie boarding, cycle touring, documentary, dylan bradshaw, eat sleep surf, film, indonesia, movie, rian cope, surfing, surfing movie.